It's not a big secret that I'm a big fan of food. 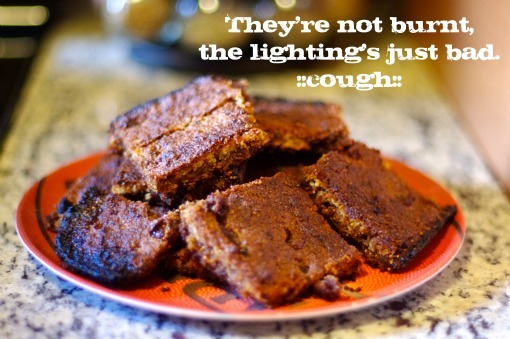 I take my health and what I put in my mouth very seriously; in fact, it's what I do for a living. I follow a bunch of food blogs, my favorite of which being Shutterbean. Her recipes are in no way, shape or form gluten-free (I can't have it...at ALL), but I don't let that stop me from cookin' up what she's dishin' out...I just make substitutions. 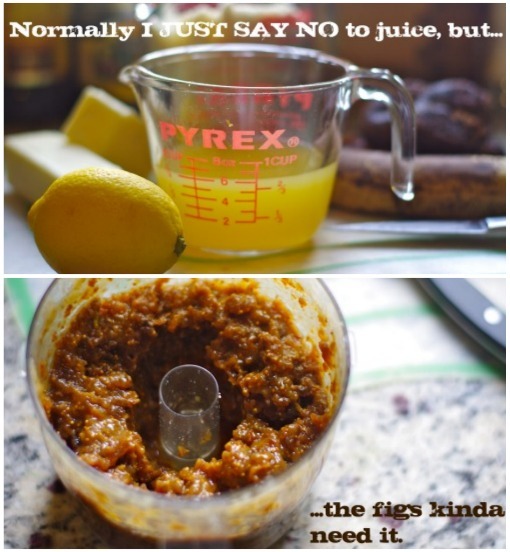 Thanks to Hurricane Irene, I had time to play with one of her recipes. 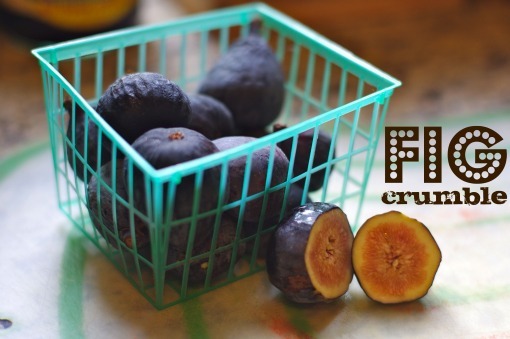 Here's my gluten-free, sugar-free adaptation of her Fig Crumble (adapted from Everyday Food). 3/4 cup orange peach mango juice. 1. Preheat oven to 375 degrees. Butter an 8-inch square baking pan; line bottom and two sides with a strip of parchment paper, leaving a 2-inch overhang. Butter paper; set pan aside. 2. 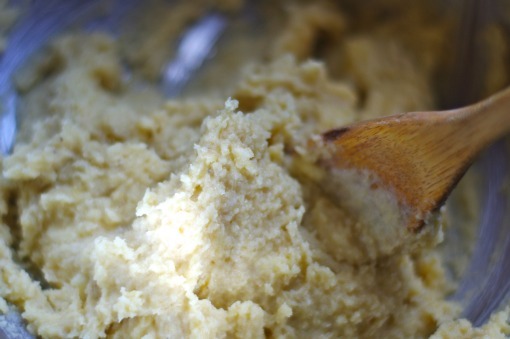 In a food processor, pulse together 2 cups almond flour and 85% of the ripe banana. Add butter; pulse until mixture resembles coarse meal. Transfer half of mixture to prepared pan; with lightly floured fingers, press firmly into bottom. Set aside. 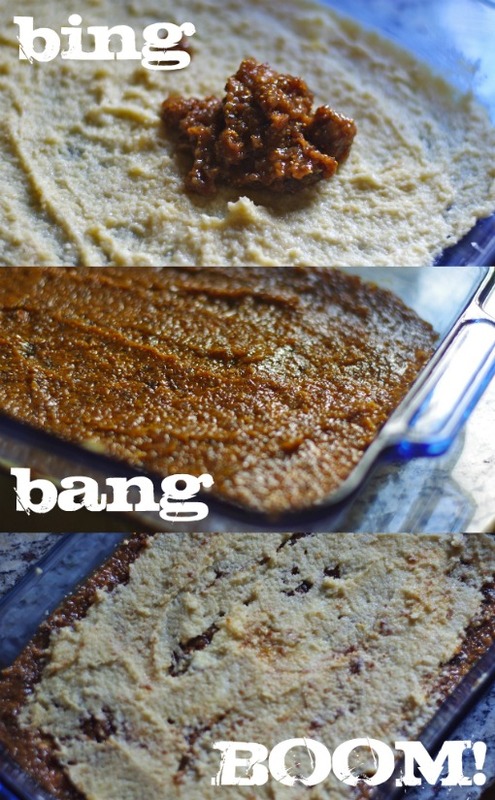 Shape remaining mixture into large, moist clumps; transfer topping to a bowl, and set aside. Wipe food processor bowl clean. 3. 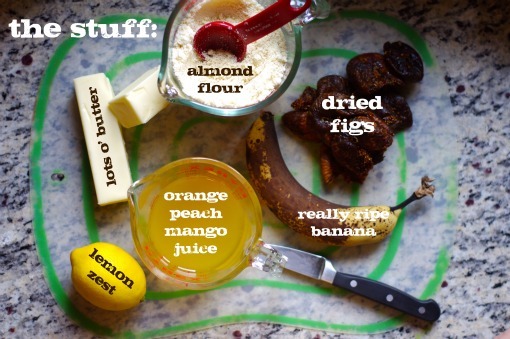 Make filling: In food processor, blend figs, orange peach mango juice, lemon zest, remaining 2 tablespoons of almond flour banana until a thick paste forms. 4. Using a small offset spatula or table knife, spread filling over crust. Sprinkle with topping. Bake until topping is golden brown, 40 to 45 minutes. 5. Transfer pan to a wire rack; let cool completely. Using paper overhang, lift crumble from pan, and transfer to a cutting board; cut into 20 bars. Store in an airtight container at room temperature up to 5 days. what!! that looks so amazing. I'm going to be dreaming about this tonight. What a fantastic and inspirational blog! Something worth reading for a change.